As the annual holidays roll around with humidity and heat spiking under grey skies: it’s time to flee somewhere more pleasant. Ole has gone on his annual holiday and is abroad for two weeks, I too will take the opportunity to visit new places. What this means is that we won’t have any major updates for the coming two weeks. Today we have one though! We’ve started working with the engine for the AS3 ‘Art’ project, you can see pictures over here at the project page. 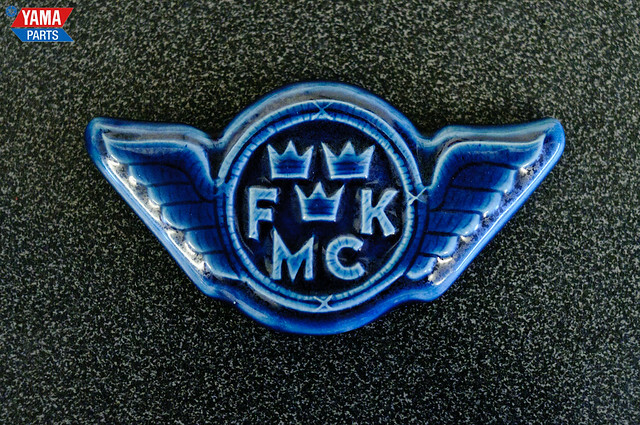 We had a visit from FMCK, Frivilliga Motorcykelkåren, last week. We gave them a guided tour of the museum, as a gift they gave us their logo made in ceramics. Though to make sure that you’re not left out in the cold (or heat), we’ll have a new gallery up this weekend!